Weight loss is defined as a persistent decrease in body weight resulting from either voluntary (diet, exercise) or involuntary (result from medical conditions such as cancer, rheumatoid arthritis and malabsorption) circumstances. In most cases, weight loss is attributed to the loss of body fat, but in cases of extreme or severe weight loss, protein and other substances in the body can also be depleted. Severe weight loss has serious health implications. As body weight decreases, body functionality declines and this may lead to malnutrition, illness, infection and even death. So, in other words, weight loss should be done gradually and it should not be drastic or sudden. Weight loss is a struggle for many people and in some cases, people who actively seek to lose weight find themselves trying several weight loss methods that may or may not work. The key to losing weight is to ensure it is done in a healthy way, which includes not losing more that the required weight for your height. Persons who are keen about losing weight should be careful with the methods they use to reach their desired goal. Not every method suits the body and lifestyle of everyone and so, one has to ensure that he / she chooses the best possible method to suit their individual requirements. 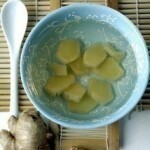 The following are some home remedies that can be employed for losing weight. apple cider vinegar: Apple cider vinegar is a natural remedy for weight loss as it is known to increase metabolism which helps in burning calories. Prepare a mixture of 2 teaspoons of organic apple cider vinegar with 16oz water. Consume by taking a sip of the mixture throughout the day until it is finished. grilling instead of frying: Try to grill meat instead of frying or baking it. Grilling foods allows the fat to drip away and you end up eating a healthier version of meat than its fried counterpart. Steam vegetables instead of frying or cooking them to cut calories. Avoid eating red meat altogether as they contain more fat. reducing salt, sugar and fat: Reduce the intake of salt and sugar. Also, keep away from oily and fatty substances like clarified butter, cheese, white bread and butter. Try and eat foods that are rich in carbohydrates with moderation. lemon and honey / rock salt: Squeeze a lemon into a glass of warm water, add rock salt to taste and drink it in the morning every day for two months to promote weight loss or drink a glass of lukewarm water mixed with lime juice and some honey, the first thing in the morning to dissolve excess fats. drinking lots of water: Drink at least 8oz of water daily to help the body function properly. drinking lukewarm water: Drink lukewarm water after meals as it is effective for proper digestion of food and burning of excessive fat. green tea: Drink a cup of green tea three times daily to help burn excess weight. pepper, lime juice and honey: Consume a mixture of 1/4 teaspoon of powdered black pepper, 3 teaspoon of lime juice and 1 teaspoon of honey mixed in a cup of water for 3-4 months. exercise regularly: Incorporate exercise into your daily routine to help burn unwanted fat and calories. Do brisk walking, jogging or biking for 30 minutes a day, also include weight training to help tone muscles and increase metabolism. avoiding stress: A healthy mind will surely help you towards getting a healthy body. It is very important to avoid stress and learn to relax in order to succeed in reducing weight. Weight loss can be quite a challenge but if you go about it with determination, it is certainly not a task that cannot be achieved. The above mentioned home remedies can aid you in overcoming this challenge.